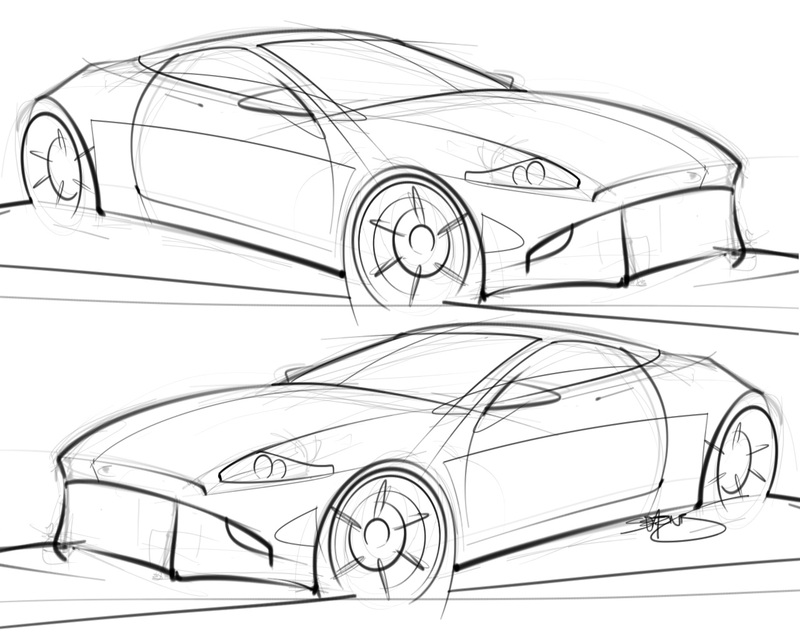 Manga Studio for drawing cars? Despite my lack of posts here, I’ve actually been drawing quite a bit lately. I’ve mentioned before how difficult it is for me to find the time to draw, and I’m here to tell you that finding additional time to keep this website up and running is even more problematic. My free time is sparse, and lately I’ve decided that I’d rather keep my sketching and rendering practice going rather than trying to focus on this website. Someday, when I win the lottery or something, I’ll have more time to dedicate to this place and fill it with lots of cool car sketches and renderings. But that doesn’t mean that I’m going to shut this place down! I created scottdesigner.com to be my digital automotive sketchbook – a tool that I could use to track my drawing and sketching progress over the years, and I fully intend to keep it going like that. Anyway, one of the things I’ve been experimenting with over the past few weeks is different software to help me develop my line work. Sketchbook Pro is pretty good, but I can never seem to get the sharp black lines that I like so much. Photoshop is a bit better in that regard, but it lacks the softness and pressure-sensitivity details I can get with SBP. That desire for clean inking lead me to try Manga Studio – a software package I’ve heard a lot about but never tired, and I think I like it. I think. To be honest, I haven’t spent too much time with it yet, but it’s a pretty good inking tool for my style of sketching. I just wish that it had more rulers and guides (specifically ellipse guides) that make drawing mechanical objects such as cars much easier. If I decide to stick with Manga Studio, I’ll post some sample drawings here – and maybe even some tutorials as well. 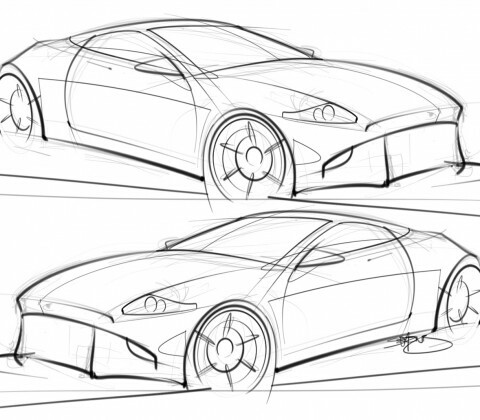 Hello, The reason I am messaging you because I make realistic Square views of concept cars and thought if you found one interesting you may want to render it to present as a team because I have direct contact with chief designers in the auto industry . I have hired 3D work for my boats because I design and build aluminum boats but the customers paid for that .So right now I am 41 year old boat builder in Republic of Panama, Panama Canal Central America.I am originally from Oregon and built my first 75 boats in Washington state. Here is the front view for you to evaluate if it is worth seeing more. The tail lights are not dial yet from view to view. These don t match completely right to left but I think its different enough . My friends say it looks like Ford, Jeep and a Mitsubishi but it is not. I take boats from concept to reality so to back up and work a different industry might help a rendering guy jump start his creativity by critiquing someone else . Hey Cory – thanks for the message(s)! Sounds like an interesting project, but none of the links worked. Can you resend?